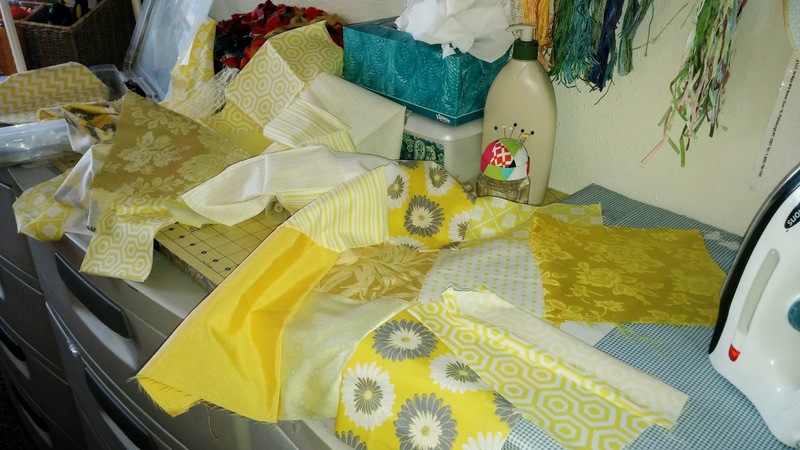 Quilting, I think I love Crazy quilting Art quilts, Contemporary quilts and type of quilting that does not require perfect piecing! My sister Robin is a master quilter, and her skills are amazing! 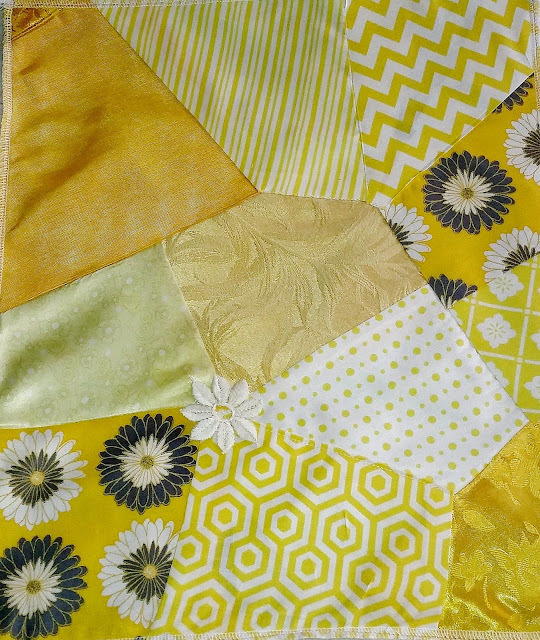 When I try to do a traditional quilt I get very frustrated! 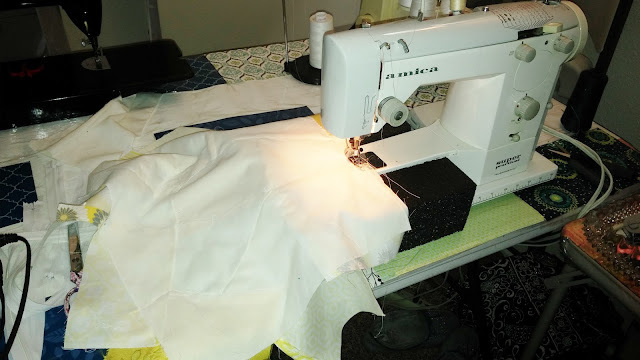 I knew how to sew, I am a contract sewer and have do all kinds of things from very simple to very complicated. I think Robin got all the DNA coding for traditional quilting! I'm at the very beginning of a "Round Robin" crazy quilt color study (Yellow) with the group CQforNewbies on Yahoo! 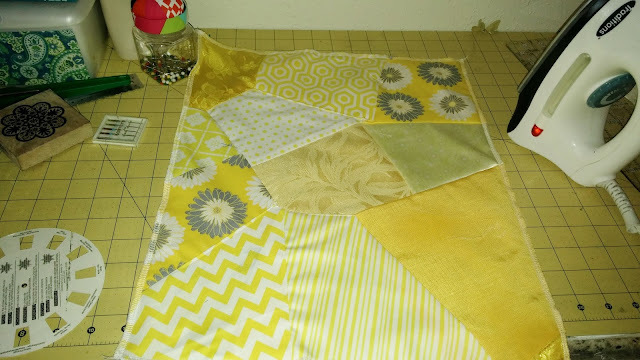 I will turn this finished block into the center of a wall hanging for my bedroom which is gray and yellow. Yes, I use rubber stamps to stamp an image on the fabric and then embroider! This is my Vigorelli 'Amica' sewing machine. Made in Italy this is a very fine machine and it sews like a race car!! Here is the block before I sew on margins (makes it easier to hoop). I re read the rules and discovered my block was three inches to large so I had to cut it down a bit! This is referred to as the naked block, well almost, I added a daisy! I 'll show you the bits as I do them, I was able to do a beak and a few feathers tonight! Take a peek, lot of eye candy and inspiration! Gorgeous Ginny, so wonderfully happy and cheery. Keep sharing it all with us wont you? This looks wonderful Ginny, and so pretty, and love that wee daisy. I have only ever done stitching round robins. 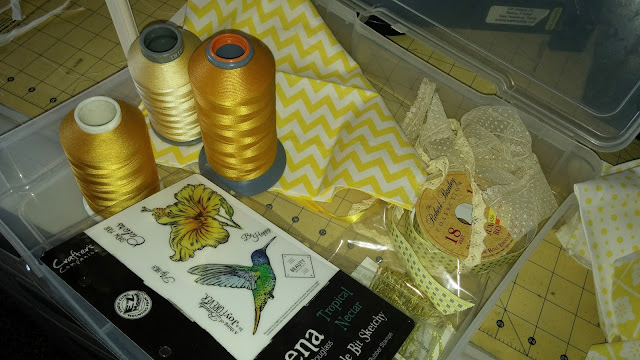 What is the name of the gold thread on reels you have in one of the photos, I have some like it that was given to me, and I have no idea if it is machine useable - currently I am just using it on cards. Hi MAxine! That is rayon machine embroidery thread. I use it for machine and hand embroidery!